As we have reported in the Hotel Law Blog, the US Department of Justice has revised the regulations implementing the Americans with Disabilities Act (ADA) for the first time in nearly 20 years. While the revisions to the ADA Regulations include broad changes in many areas, today’s blog focuses on the changes to Reservation Policies. JMBM hotel and timeshare lawyer, David Sudeck informs us that the Department of Justice has received so many complaints concerning failed reservations, that the DOJ felt it necessary to include the changes to the law. Most of the complaints involve individuals who have reserved an accessible hotel room only to find upon check-in that the room they reserved was either not available or not accessible. The changes to the reservation policies will go into effect on March 15, 2012 to allow properties time to comply with the new requirements. To understand the requirements, read on. How the new ADA Regulations affect hotels. More than 50 million Americans have disabilities, and each is a potential hotel guest. Compliance with the Americans with Disabilities Act (ADA) is not only smart business, but if a hotel owner or operator fails to comply with the ADA, the resulting fines and litigation costs can be financially devastating. The Reservation System Requirements in Section 36.302(e) of the ADA Regulations have been significantly expanded. A modification of reservation policies was not originally part of the Notice of Proposed Rule Making; however, the Department of Justice has received so many complaints concerning failed reservations, that the DOJ felt it necessary to include the changes to the law. Most of the complaints involve individuals who have reserved accessible hotel room only to find upon check-in that the room they reserved was either not available or not accessible. The changes to the reservation policies will go into effect on March 15, 2012 to allow properties time to comply with the new requirements. The new reservation requirements will require that hotels and other hotel-like facilities properly train their staff and implement significant changes in reservation policies. For example, the reservations staff must be able to identify which specific features are included in a hotel’s accessible guest rooms; an accessible bathroom may meet accessibility requirements with either a bathtub or a roll-in shower, but the specific feature may make a difference to a particular disabled person so it must be identified. The Hotel lawyers of JMBM’s Global Hospitality Group® offer training and revisions to policy manuals to comply with these requirements. Each lodging property and each ADA claim is unique. If you would like to request an ADA survey of your property, if you are dealing with a disability-related claim relating to your property, or you would like to discuss any of the issues raised in this article, please contact the author for a more thorough discussion. * These articles are not intended to serve as a complete discussion of the applicable ADA revisions. This information may not be relied upon as legal advice, which can only be given by a lawyer based upon your specific situation. 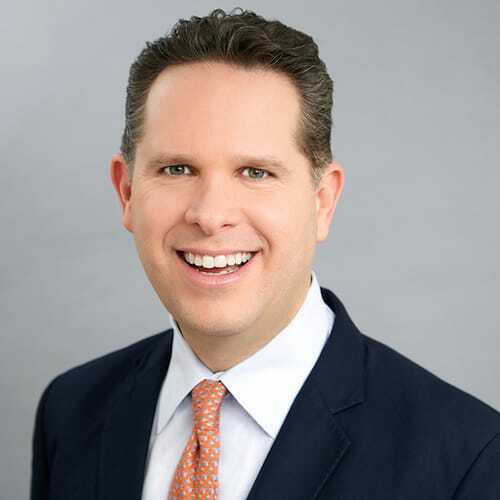 David Sudeck is a member of the JMBM’s Global Hospitality Group®. David’s law practice focuses on the real estate and business aspects of the hospitality industry, with a special emphasis on the hotel, resort, vacation ownership and resort development industries. As a member of JMBM’s Americans with Disabilities Act (ADA) Group, he counsels hospitality clients on ADA defense and compliance matters. You can reach David at 310.201.3518 or at dsu@jmbm.com. If you found this article of interest, you may want to check out some of the other articles on this topic on www.HotelLawBlog.com which can all be found under the “HOTEL LAW TOPIC” of “ADA” at the top of the home page (or by clicking here).